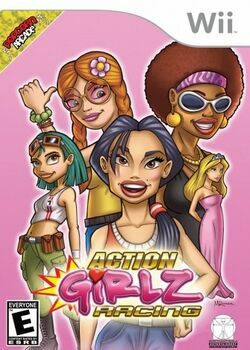 Action Girlz Racing is a racing game developed by Data Design Interactive. It was released in 2005 in Europe for Windows and PlayStation 2. A version for the PlayStation Portable was also announced for that same year, but was cancelled. In 2007 the game was ported to the Wii. This page was last edited on 11 July 2012, at 18:46.